Community broadcasters are a crucial part of a healthy, pluralistic media sector. They are independent and not-for-profit, and are governed by and in service to the community they represent. The UNESCO Community Media Sustainability Policy Series has been created to assist media regulators and government institutions provide a regulatory environment that recognises the value of community media and supports its long-term sustainability. The series builds upon the recommendations from the landmark UNESCO event on Community Media Sustainability: Strengthening Policies and Funding, held in September 2015 at UNESCO Headquarters in Paris, France. 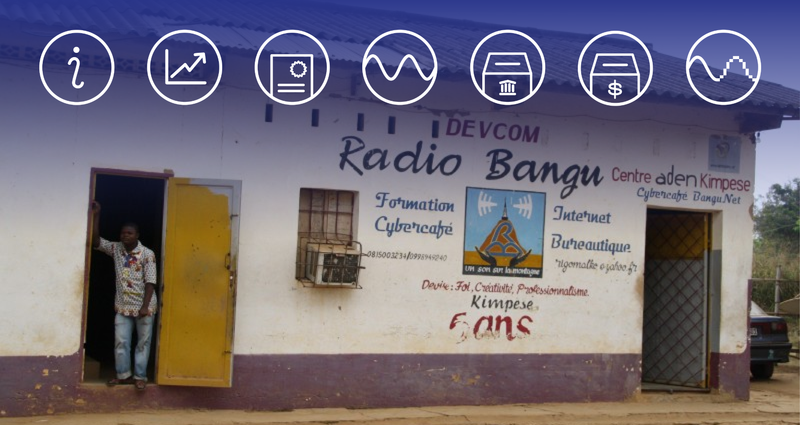 The event brought together governments, broadcasting regulators, community radio networks, academia, and NGOs, as well as intergovernmental and UN organizations, to discuss concrete ways ensure a healthy future for community media across the world. The Centre for Law and Democracy is a non-governmental organization working towards a world in which robust respect for all human rights underpins strong participatory democracy at all levels of governance – local, national, regional and international – leading to social justice and equality. The organization works to promote, protect and develop those human rights which serve as the foundation for or underpin democracy, including the rights to freedom of expression, to vote and participate in governance, to access information and freedom of assembly and association.